A few months ago, Lili began talking about wanting sheep on our homestead. My immediate thought was, “I don’t know how, nor do I want to shear sheep.” But then I learned something new . . . . .
Not all sheep require shearing! Although I knew there were different breeds of sheep, I had assumed all sheep needed to be sheared. Little did I know there hair sheep and they do not require any shearing. Score!! Since I have no desire to get into the wool business, hair sheep are a good choice. They help with lawn care (i.e. they eat grass) and lamb is quite tasty (sorry all non-meat eaters reading this post). So, I decided to start looking at some different hair sheep breeds in preparation for one day adding some to our little homestead. The Katahdin breed was developed in the 1950’s by Michael Piel, a resident of Maine. Michael imported a few sheep from the Virgin Islands with the goal of breeding a cross that would have the hair and hardiness of the Virgin Island breed as well as the meat and rate of growth of the wool breeds. It took him almost 20 years of his hybrid results before he finally collected a flock of ewes that he called Katahdin (named after Mt. Katahdin in Maine). A shedding breed called the Wiltshire Horn was incorporated into the breed to give the breed added size and to improve quality. From this flock, new breeders began to expand the breed across North America and other countries. Katahdin are medium-sized sheep that are hardy, adaptable, and low maintenance. They produce superior lambs and lean meaty carcasses. 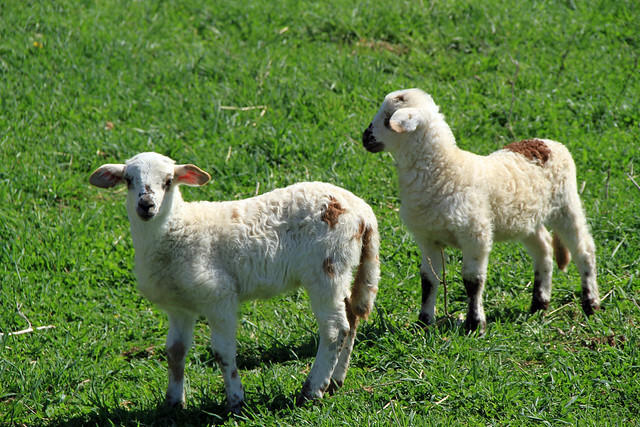 The Katahdin breed is ideal for pasture lambing and a grass/forage-based management systems. In cold weather, Katahdin grow a very thick winter coat which then sheds during warmer seasons. They have a smooth hair coat, as well as other adaptive characteristics, that allow them to tolerate heat and humidity well. Katahdin are also significantly more tolerant of internal and external parasites than sheep with wool coats, and if managed carefully require only minimal parasite treatment. Katahdin are docile and easily handled, exhibiting moderate flocking instinct. with a mature ram weighing 180 to 250 pounds. An average birth weight of twins is about 8 pounds. 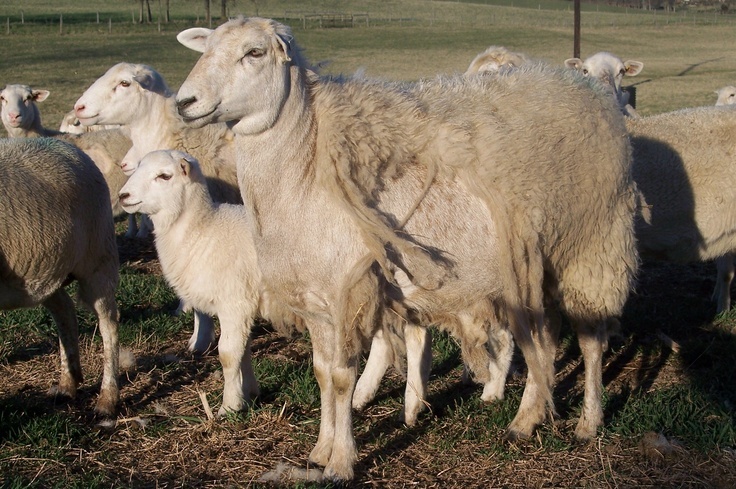 Katahdin generally have a long productive life and mature ewes typically give birth to twins, occasionally producing triplets or quadruplets. Ewes are known to have exceptional mothering abilities with a strong mothering instinct. They are known to lamb easily, typically without assistance, giving birth to lambs who are vigorous and alert. Ewes provide an ample milk supply to their babies and while a ewe may reject her lambs, it is very rare. Katahdin lambs have a high quality, well-muscled carcass that is naturally lean and consistently offers a very mild flavor. Generally, the hair coat of the Katahdin consists of coarse outer hair fibers with an undercoat of fine wooly fibers that becomes very thick and longer when cold weather sets in and day length decreases. As the temperature warm up and the days lengthen, the undercoat and some hair sheds naturally leaving a shorter, smooth summer coat. The hair coat of the Katahdin varies in length and texture and can be any color or color combination and their hair is not generally harvested. One other benefit of Katahdin is milk. Yes, sheep milk! They can produce a anywhere from a pint to a quart of milk per day. More milk for drinking or making some delicious cheese. A good multi-purpose animals for the farm. For those who want sheep that don’t require shearing; live in an area where wool sheep may not do well; are looking for superior meat lamb; wanting another milk source or a low-maintenance ruminant, the Katahdin is one breed that should be considered. You can get more information on the Katahdin Hair Sheep International website http://katahdins.org/.